Alfa Laval Brew 701 is the market-leading centrifuge for beer clarification. Thanks to unique features such as eMotion™, eDrive™ and Hermetic Design, you get minimal operating costs, outstanding beer quality, high yield and exceptional efficiency. Brew 701 is primarily designed for pre-clarification and polishing of all types of beer, and it effectively removes yeast cells and suspended solids. 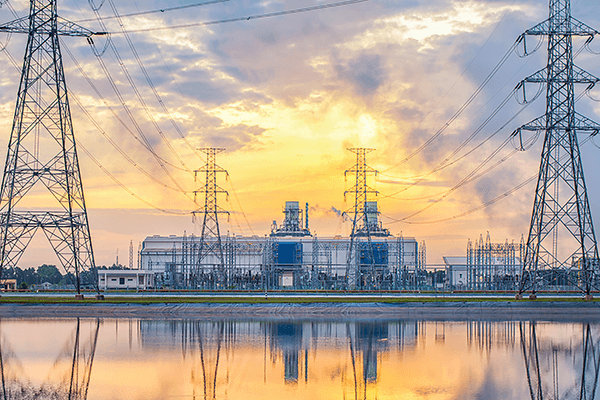 At high flow rates, the clarification efficiency is 99.9% and it is 100% at lower rates. By removing yeast and unwanted solids in a Brew 701 centrifuge, you reduce the load on the following filter stage significantly, resulting in much longer filter runtimes, lower filter aid consumption and lower disposal costs. And at lower flow rates, you can omit filtering altogether because the clarification in the centrifuge is 100%. The effective separation in a Brew 701 eMotion™ minimizes your product losses. Yeast coming out of the centrifuge is 23% dry matter, and the total beer loss is less than 0.1%. Brew 701’s highly efficient separation is a result of Alfa Laval’s patented Hermetic Design. Thanks to this innovative technology, yeast cells and particles entering the centrifuge are accelerated very gently, preventing them from breaking up. This makes the separation stage much more efficient and allows you to operate a Brew 701 with higher flow rates at high cell concentrations than any other centrifuge on the market. If you want to increase capacity but have limited available floor space, Brew 701 is the best solution. The Hermetic Design also makes it possible to use larger separation discs, which further increases separation efficiency. With the combination of eMotion™, eDrive™ and Alfa Laval’s Hermetic Design, Brew 701 eMotion™ has up to 70% lower power consumption than a traditional beer centrifuge with comparable throughput. Not only does this significantly cut your energy costs for the cold block, but can also reduce your CO2 footprint. eDrive™ is our direct-drive electric motor. It can operate at a slower speed and with lower power consumption than other types of electric motors. Additionally, eDrive™ contains fewer moving parts, leading to lower friction-related energy losses as well as significantly reduced maintenance. Hermetic Design not only boosts separation efficiency, but also cuts energy consumption by approximately 70% compared to a traditional pairing disc centrifuge. Approximately half of the energy consumed in a traditional centrifuge is used for pumping the beer through the centrifuge, and this power is proportional to the square of the radius of the liquid outlet. In a Hermetic Design centrifuge, the outlet is placed along the central axis of the centrifuge, which reduces the radius dramatically compared to other designs, thereby minimizing energy consumption. Alfa Laval Brew 701 eMotion™ is a proven solution that can improve production with all types of beers – from crisp lagers to full-bodied Doppelbocks. It has been designed with a focus on high beer quality, maximum efficiency and low total cost of ownership. 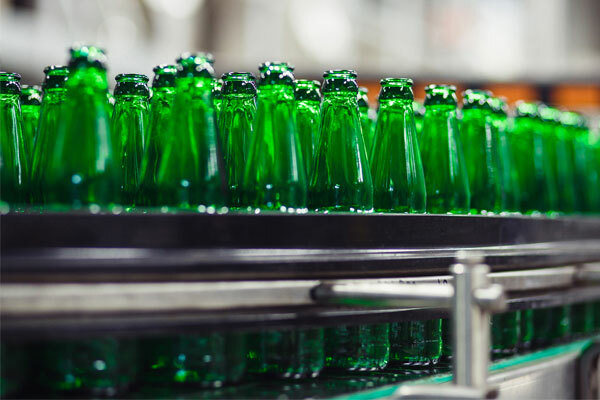 Beyond the reduced power consumption, minimal beer loss and lower load on your filter, there are several additional ways that a Brew 701 eMotion™ can improve profitability in your brewery. Thanks to the limited number of moving parts in the eDrive™ system, service intervals are much longer than is the case for traditional centrifuges. The spare parts costs are also lower. Brew 701 eMotion™ has the lowest water consumption of all comparable beer centrifuges on the market, partly because the eMotion™ and eDrive™ features minimize friction heat and, in turn, the cooling requirements. Alfa Laval’s Hermetic Design further eliminates the use of sealing water. And since cleaning requirements are low, it also reduces flushing-water consumption. A Brew 701 can also be configured to recirculate water. In combination with the low power consumption and minimal waste streams, the reduced water consumption makes Brew 701 the perfect choice for breweries with a strong sustainability profile. Thanks to the gentle handling of yeast cells with a Brew 701 eMotion™, more than 95% of the yeast is viable and can be reused, thereby lowering production cost. For a traditional beer centrifuge, the corresponding figure is roughly 80%. With an Alfa Laval Brew 701 in your brewery, it’s easy to produce crystal clear beer that is full of flavour. There are several ways in which a Brew 701 can help you reach your quality goals. 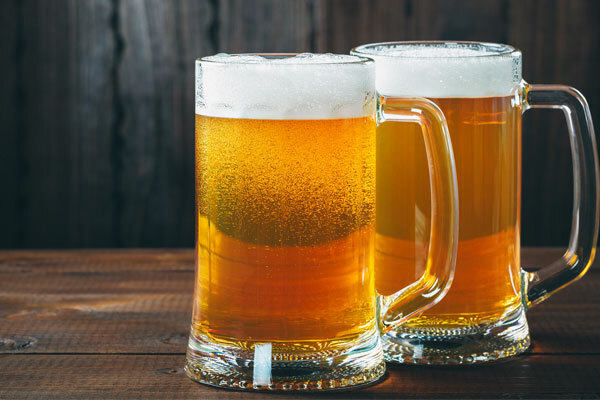 Certain volatile chemical compounds in beer appear to be degraded when they come into contact with air during processing in traditional centrifuges. These compounds include myrcene and carophyllene, both essential for a beer’s character. Alfa Laval’s Hermetic Design means that a Brew 701 unit is completely filled with beer during operation, effectively preventing air from entering the centrifuge. Because air never comes into contact with the beer, all flavours remain in the beer and there is no oxygen pickup or loss of CO2. The gentle acceleration of the Hermetic Design prevents yeast cells from breaking up into microscopic particles that affect the beer’s flavour. All yeast cells are intact when removed, and your beer tastes as intended. Thanks to the minimal friction heat of a Brew 701 eMotion™, there is low thermal load and thus no thermal pickup. 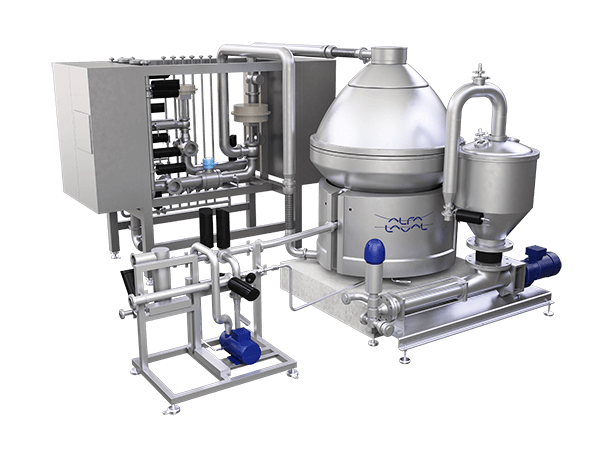 Alfa Laval Brew 701 eMotion™ is a very versatile beer centrifuge that can operate under a wide range of conditions. Thanks to eDrive™, a Brew 701 can be operated at low or high flow rates and bowl speeds, allowing you to use just one unit for several types of beer without having to make any complicated configuration readjustments. Brew 701 offers an unmatched degree of flexibility when it comes to solids and yeast concentrations in the feed. That means it can be used for clarifying all types of beer – including high-gravity beer – and still run at high flow rates. To put together a unique system configuration for your brewery, our experts then select the perfect solution with the right bowl type, quantity and length of the discs, and much more. You can also choose between Allen Bradley or Siemens control systems. Both are easily integrated to your SCADA system via ProfiNet, Ethernet or ModBus and allow you to monitor and control your centrifuge remotely.